Tea leaves in glass bottle collected on the shore of Dorchester Neck the morning of 17 December 1773. Massachusetts Historical Society. 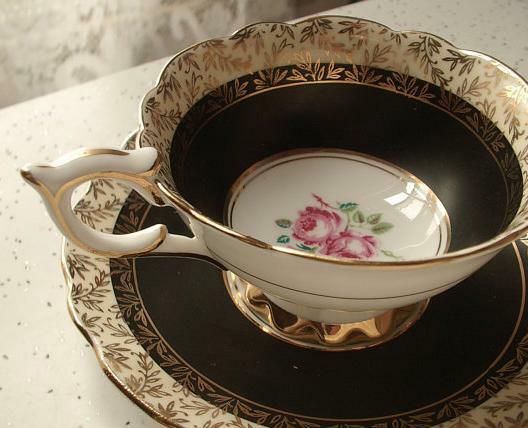 This is the most magnificent Movement of all. There is a Dignity, a Majesty, a Sublimity in this last Effort of the Patriots that I greatly admire. 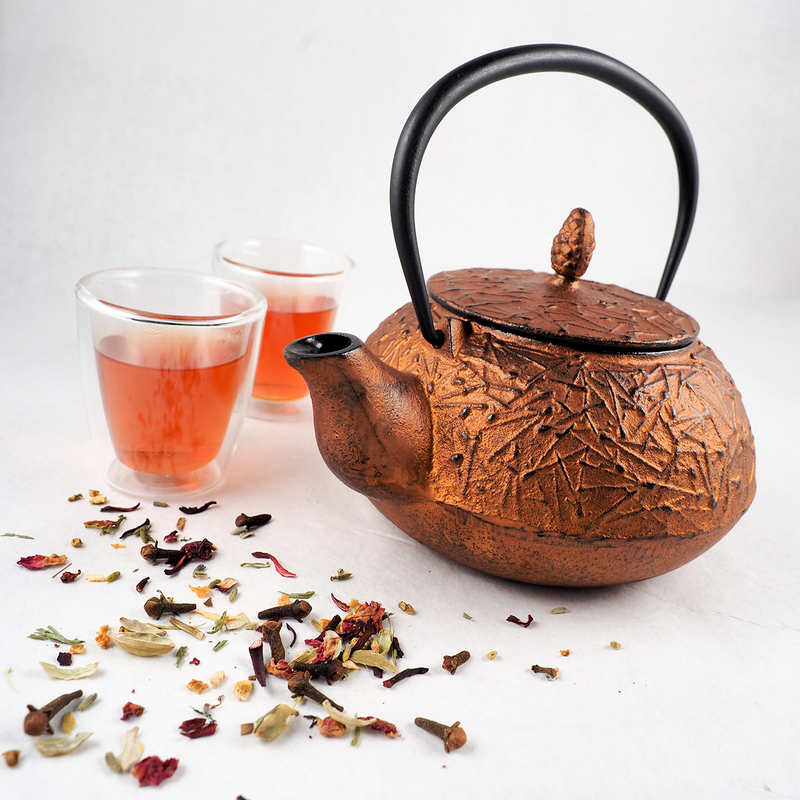 This Destruction of the Tea is so bold, so daring, so firm, so intrepid, and so inflexible, and it must have so important Consequences and so lasting, that I cannot but consider it as an Epocha in History. 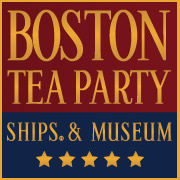 Many of the Boston Tea Party participants fled Boston immediately after the destruction of the tea to avoid arrest. 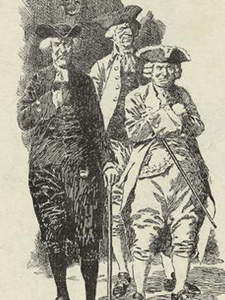 George Hewes remembered, “We then quietly retired to our several places of residence, without having any conversation with each other, or taking any measures to discover who were our associates… There appeared to be an understanding that each individual should volunteer his services, keep his own secret, and risk the consequence for himself. 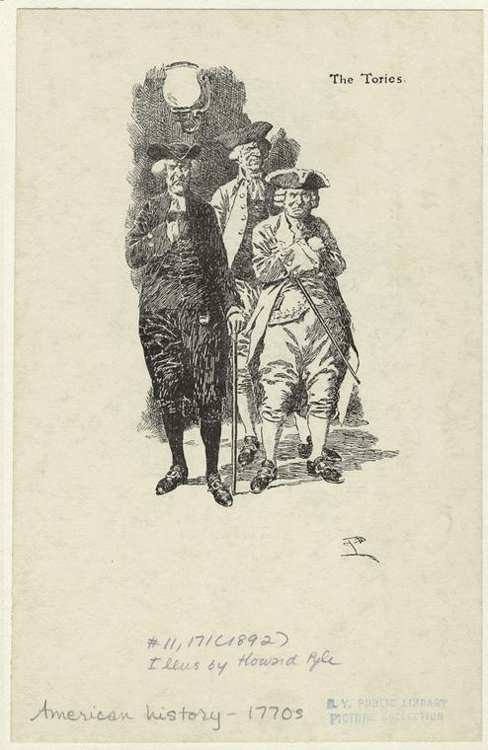 No disorder took place during that transaction, and it was observed at that time that the stillest night ensued that Boston had enjoyed for many months.” Only one member of the Sons of Liberty, Francis Akeley, was caught and imprisoned for his participation. He was the only person ever to be arrested for the Boston Tea Party. 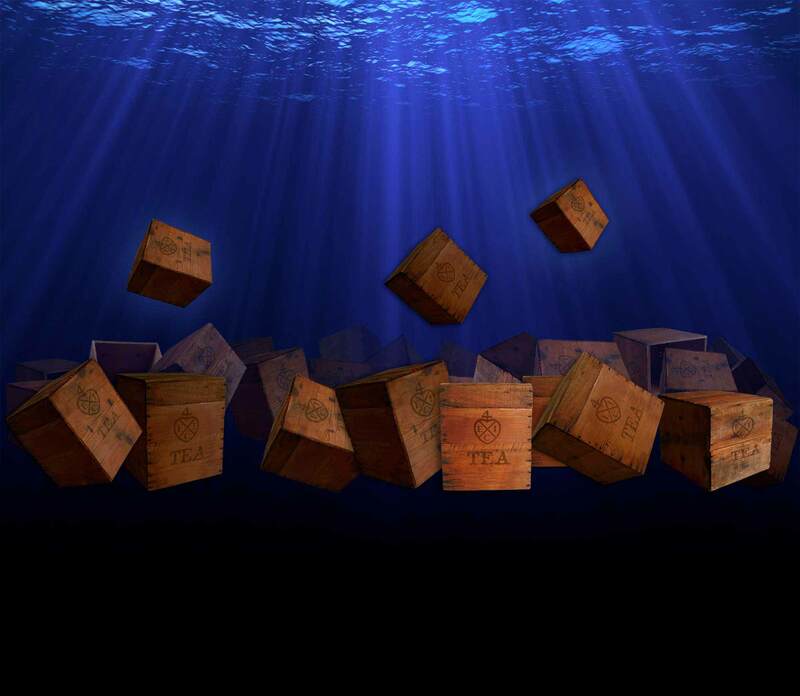 No one died during the Boston Tea Party. There was no violence and no confrontation between the Patriots, the Tories and the British soldiers garrisoned in Boston. None of the members of the crews of the Beaver, Dartmouth, or Eleanor were harmed. This was the first organized act of rebellion against British rule and the Sons of Liberty were very careful about how the Boston Tea Party was planned and executed. The Tories. 1893. New York Public Library. 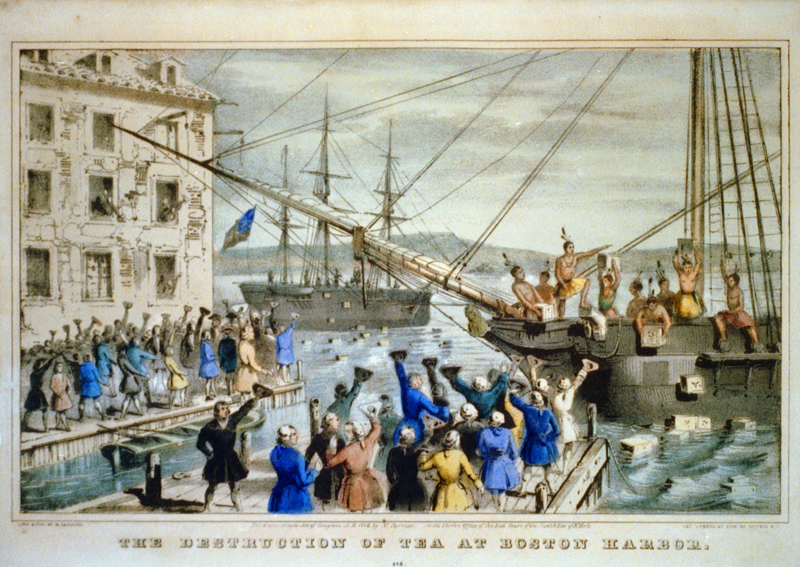 Destruction of tea at Boston Harbor. Library of Congress. 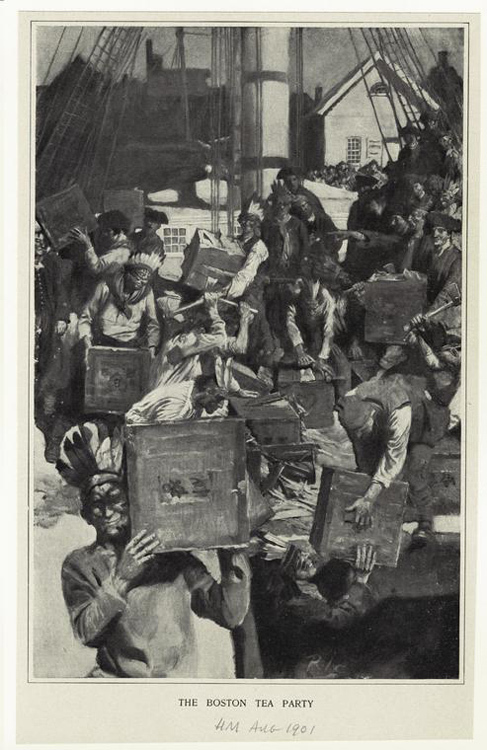 The news of the Boston Tea Party reached London, England on January 20, 1774, and as a result the British shut down Boston Harbor until all of the 340 chests of British East India Company tea were paid for. This was implemented under the 1774 Intolerable Acts and known as the Boston Port Act. In addition to the Boston Port Act, the Intolerable Acts also implemented the Massachusetts Government Act, the Administration of Justice Act, the Quartering Act, and the Quebec Act. 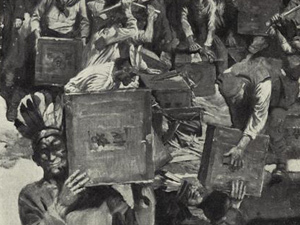 American colonists responded with protests and coordinated resistance by convening the First Continental Congress in September and October of 1774 to petition Britain to repeal the Intolerable Acts. 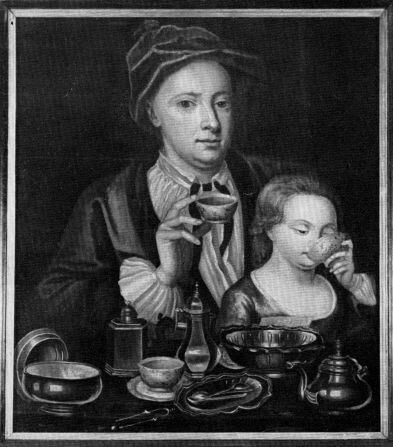 The Boston Tea-Party. 1888. New York Public Library. 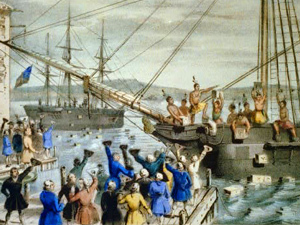 The Boston Tea Party was the first significant act of defiance by American colonists and is a defining event in American history. The implication and impact of the Boston Tea Party were enormous ultimately leading to the start of the American Revolution which began in Massachusetts on April 19, 1775.